Soon after the release of the iPhone 6 and 6 Plus in September last year, the devices had a very serious problem. The bigger iPhone 6 Plus was susceptible to bending when enough pressure was applied to certain weak points on the all aluminium shell. And ‘Bendgate’ was born! A video demonstrating the bending of the iPhone 6 Plus was posted by Unbox Therapy and soon it became viral. However, this bendgate was a very rare issue and Apple stated that only a few customers were affected by this. We are not really sure how many were affected, but we doubt it was only a few. Looks like Apple is now making sure that such a problem won’t arise with the upcoming iPhone 6s and 6s Plus. According to a new video posted by Unbox Therapy, the new iPhone shells are slightly thicker and bigger due to extra strengthening around the weak points. Apple may also be using the 7000 series anodized aluminium for the new iPhones, because the new shell is lighter than the current iPhone 6 shell. 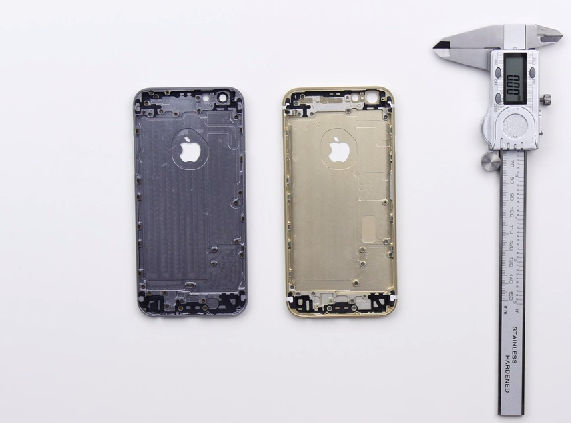 The current iPhone 6 shell weighs around 27 grams, whereas the iPhone 6s shell weighs 25 grams. The 7000 series aluminium is currently used in the Apple Watch Sport casing and is quite strong.